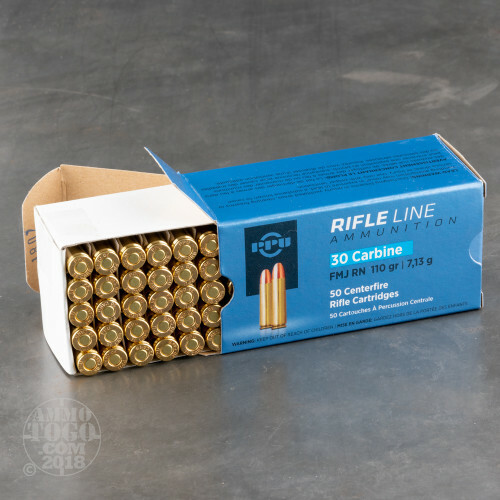 A great option for the budget-conscious, high-volume shooter, this package contains a full 500 rounds of affordable .30 Carbine ammunition. Each round is loaded with a 110 grain full metal jacket (FMJ) projectile. Perfect for target shooting, tactical drills, or backyard plinking, these rounds offer smooth feeding and function with no expansion or barrel leading. Producing high-quality custom ammunition for competition, range shooting, and hunting Prvi Partizan ammunition meets all SAAMI specifications. 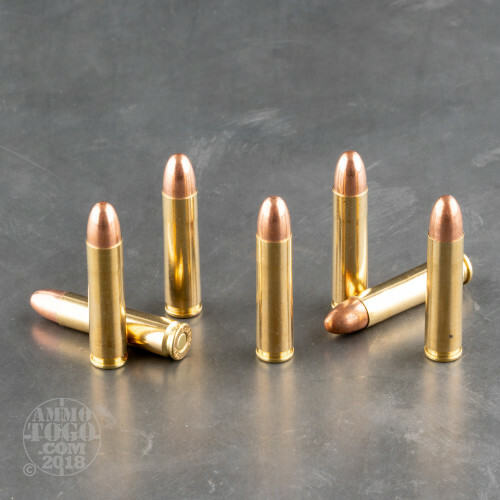 Located in Serbia, Prvi Partizan's ammunition plant is managed by a stringent quality control system, allowing them to provide consistent, reliable, and accurate ammo to consumers around the world. 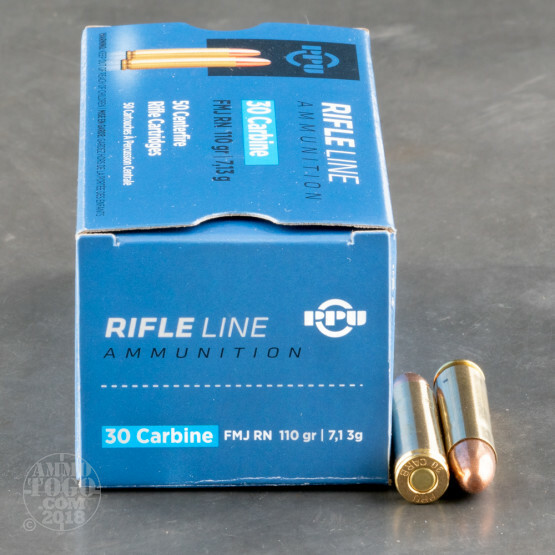 This package contains 550 new production .30 Carbine rounds manufactured by Prvi Partizan. Each round is brass cased, boxer primed, and 100 percent non-corrosive. 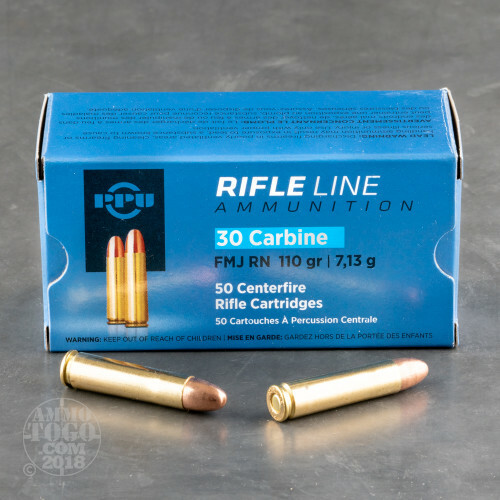 Leaving the muzzle at a velocity of 2001 feet per second with a muzzle energy of 978 foot pounds, these rounds are the economical solution for quality range training.